Garment Printing & Print this Print that. We are a local printing company that speaks your language. Feel relaxed and be understood by our team. We Print & Deliver your orders and products fast and efficiently in Barcelona or Europe. We have offices and printing facilities in Barcelona and London. We offer printed products and services for your events, exhibitions, seminars and trade shows. We can supply magazines, flyers, leaflets, roll ups, banners, exhibition displays, catalogues, business cards and printed clothing with your logo or designs. Garment Printing & Print this Print that are an industry leading promotional merchandising company based in Spain and UK that offer a flexible, speedy and high quality service every time. Whether you're a global brand or just starting out, we have you covered. We have the best advice and guidance for you and your company to ensure you get the product you desire. We will advise you on the use of a range of print techniques such as: screen printing, transfer, vinyl cad cut, eco-friendly, rhinestud or rhinestone and all over sublimation. But we don't just handle clothing. 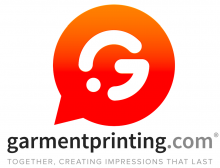 Garment Printing can also handle your other business needs. Our printing techniques can be applied to small and large print on paper, canvas, banners, posters, magazines and flyers. We also print on more obscure items, such as USB drives, cups, pens, roll ups, caps and umbrellas. We've been in the printing business a long time, with over 15+ years experience. We know what it means to deliver a quality product. Contact us today for a free, no hassle quotation. · Our 15 years of experience ensure we fully understand your individual printing needs. · Express Service team to manage your last minute orders. · 100% Money Back Guarantee if you are not completely happy with your finished products. · We help the environment & sustainability with our Eco Friendly Green Organic products.